Coatings often get their name from the resin that they are made from. However, coatings are also made of other components, such as an element that will dissolve it into a liquid to make application simple. This element is usually in the form of a water or a chemical solvent. As a result, coatings can be categorized as water-based or solvent-based. Each type of coating performs differently depending on the situation. Therefore, the type of coating you choose to use will be contingent on the task at hand. Below we will explain the difference between water-based coatings and solvent-based coatings. Why do people opt for water-based coatings for certain projects? To put it simply, they are safer, less harmful on the environment, and less odorous. 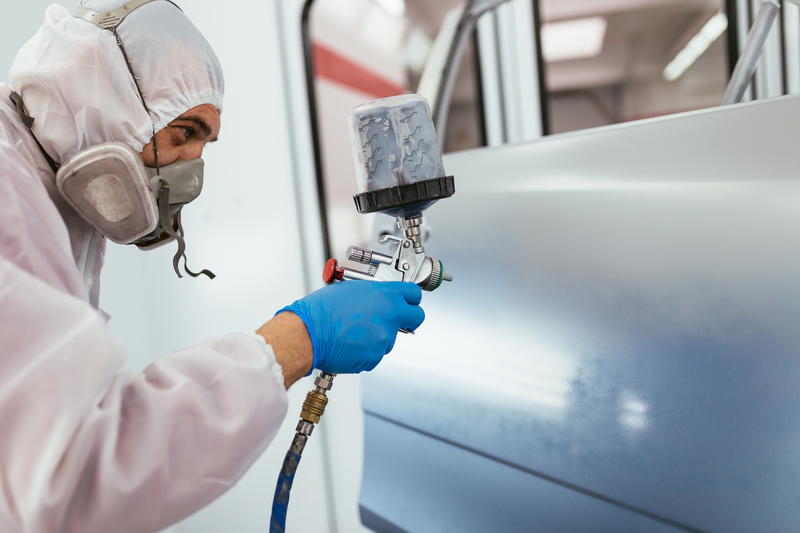 Water-based coatings emit fewer odors than solvent-based coatings. This is ideal when doing a project such as painting the interior of a home. It’s no wonder that water-based paints make up a majority of the household paints that are sold. Additionally, the evaporation of solvents can be dangerous and/or uncomfortable for workers doing jobs in small or poorly ventilated areas. That’s why most projects involving fuel storage tanks and railroad tank cars, for example, opt for using water-based coatings. Water-based coatings also help minimize the concentration of flammable materials that can accumulate in a small area. Another reason to use water-based coatings is for environmental compliance. When certain solvents evaporate, they turn into volatile organic compounds (VOCs). These are regulated by national, state, and local governments—limiting the amount of VOCs companies are permitted to emit over a certain time period. The EPA also sets national rules for VOCs, but each state will have varying restrictions. It is important to note that some water-based coatings do actually contain solvents. However, they are in the form of co-solvents, which are in lower concentrations and are designed to get rid of water as the coating dries. Nevertheless, water-based coatings can contain either no solvents or very little solvents, which is considered an excellent strategy for lowering a company’s VOC output. Now that we know the benefits of using water-based coatings, why would some companies opt for solvent-based? Well, solvent-based coatings have one key advantage over water-based coatings: when the curing phase is taking place, they are more resistant to weather conditions and changes to temperature and humidity. Unlike solvent-based coatings, when humidity levels are high, water-based coatings may not be able to evaporate. Solvent-based coatings have much faster drying times. Unfortunately, when solvents evaporate, they emit VOCs, which are harmful to the environment. The VOC fumes are also toxic, causing health risks for people who breathe them in. Another major downside is the fact that the fumes from solvents smell very bad. This is why there are many people that are campaigning to permanently ban solvent-based coatings. All-in-all, water-based coatings are ideal for most projects that require work in a small, confined area. Projects that will be exposed to various environmental conditions will likely benefit from a solvent-based coating. Advances in technology are slowly eliminating the need to use solvent-based coatings, as some water-based coatings work just as well.